If you've been following my Twelve Days of Christmas Earrings Extravaganza, you might have begun to wonder if you had missed this post. I know, I know, it is 2 days after Christmas but I just couldn't manage to complete it on Christmas Eve. 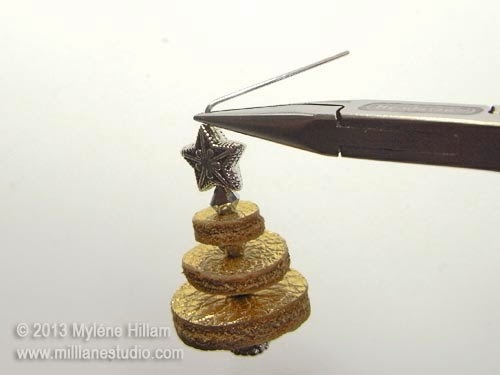 Nevertheless, here it is - the 12th and final pair of earrings in 2013's Christmas Collection - Sparkle Trees! 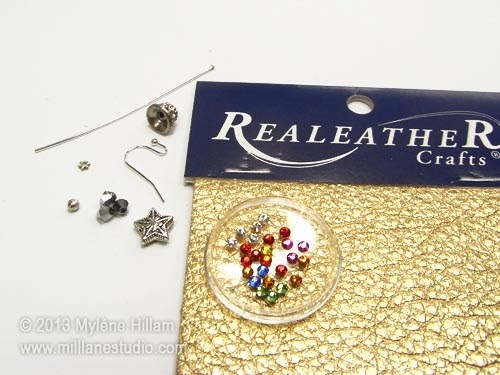 This is another design which combines Silver Creek Leather and Swarovski Crystals for lots of shimmer and sparkle. 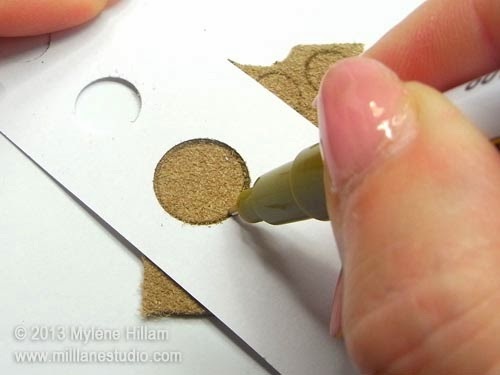 Punch each of the circles in the cardstock to create a template. 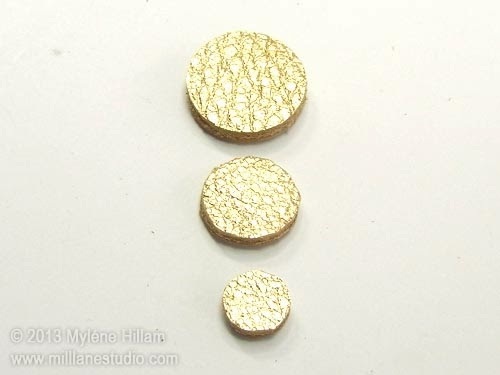 Place the template over the back of the leather , trace two of each size circle for each earring. Cut out all the circles. 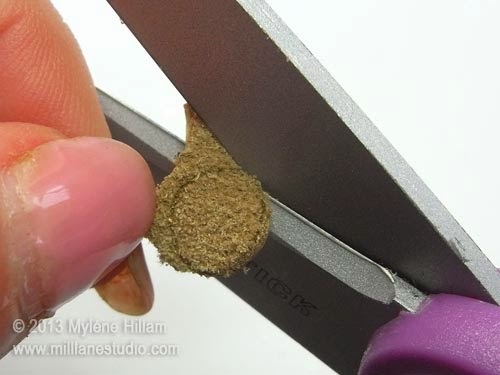 Neaten the cut circles by trimming away any furry edges. 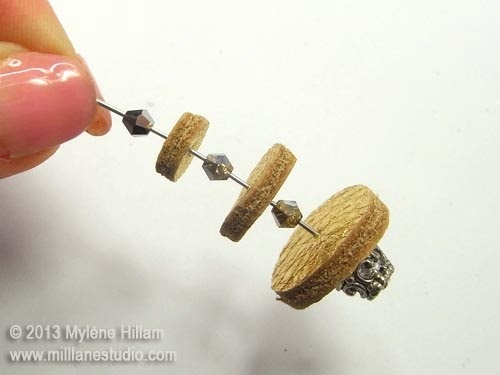 You'll have six circles for each earring. 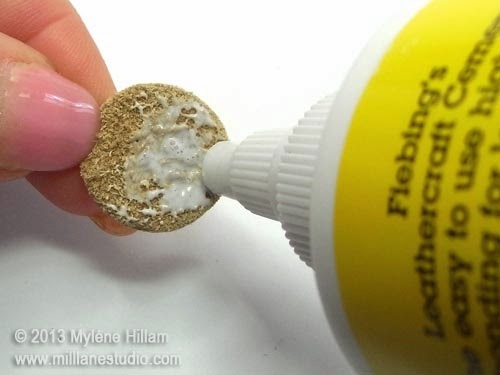 Apply a thin layer of leather cement to the back of one of the large circles and then place it on the back of the other circle. Press them together firmly. Repeat with the medium and small circles. 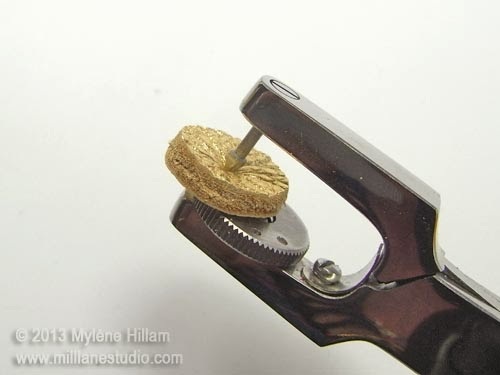 Set the hole punch to the smallest hole. Find the centre of each of the disks and punch a hole in each one. 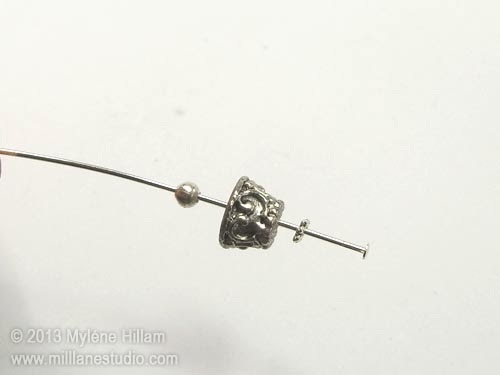 String the daisy spacer , cone bead cap and 3mm spacer bead on the head pin. String the large disk, a bicone , medium disk, a bicone , the small disk and another bicone . 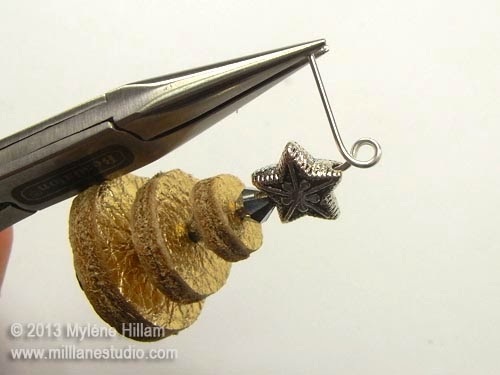 String the star bead and then grip the head pin just above the bead with the chain nose pliers. Bend the head pin at a 90° angle. Place the round nose pliers in the bend and wrap the head pin around the jaw to create a loop, making sure the wire crosses over. 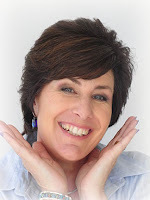 Grip the loop with flat nose pliers and the tail of the head pin with chain nose pliers and wrap the tail around the neck of the head pin, creating a wrapped loop. 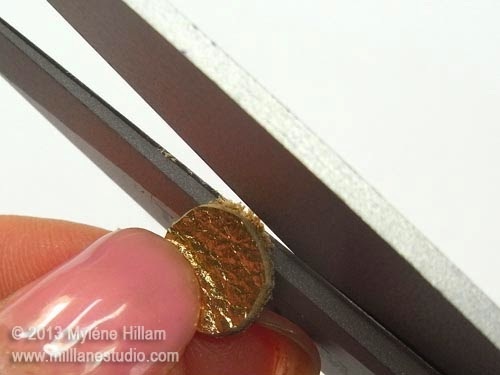 Trim away the excess wire. 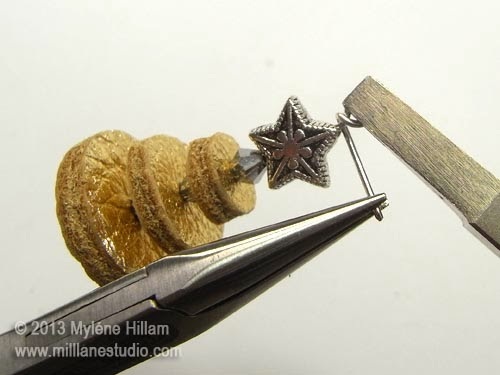 Apply a small dob of Crystal Glue to the cut edge of one disk. 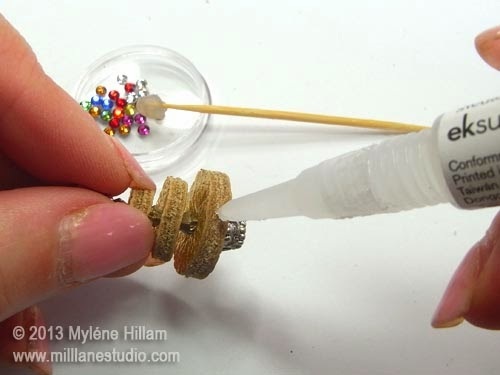 Pick up a crystal with the Embellie Gellie Tool or tweezers and position it over the adhesive. 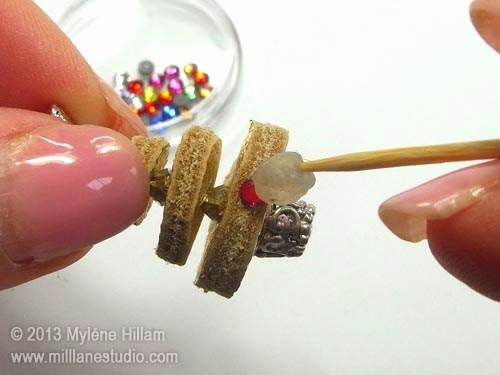 Continue applying crystals evenly around each circle. 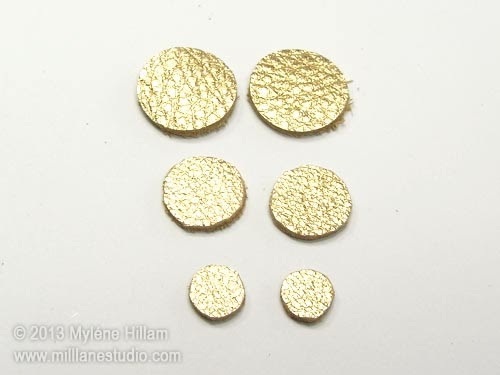 You will need approximately 6 for the small circle, 9 for the medium circle and 10 for the large circle. 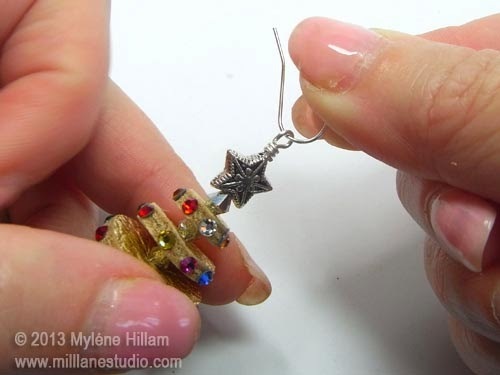 Attach the Christmas Tree to the earring wire and make a second earring to match. I hope you've enjoyed this year's collection of Christmas Earrings. It's been fun coming up with so many different designs. I'll be back with another collection in time for Christmas 2014 but in the meantime, I hope you'll join me wherever our creative adventures take us throughout 2014.